Amani El Bushra is associate chief pharmacist for clinical services, Pharmacy Department, Moorfields Eye Hospital. Sight loss can affect anyone, regardless of age, ethnicity, gender or clinical condition. More than two million people are currently living with sight loss in the UK, and around 350,000 of these are registered blind or partially sighted. The incidence of sight loss increases with age: more than 11 million people in the UK are aged over 65 years and one in five people aged 75 years and over are living with uncorrectable sight loss. It is crucial that everyone with sight loss can use and take their medicines safely, which includes being able to read dispensing labels and storage instructions. In a 2015 survey of registered blind and partially sighted adults in the UK, undertaken by the Royal National Institute of Blind People (RNIB), nine out of ten blind and partially sighted people said information on medication was quite difficult or impossible to read. 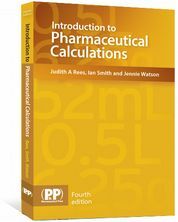 Labels need to be provided in an accessible format; however, this is currently not routinely considered or provided in pharmacy practice. In addition, access to a pharmacy counter and moving around the pharmacy environment can also be extremely challenging for people with sight loss where adjustments have not been made. Pharmacists and pharmacy staff have an important role in medicines optimisation for people with sight loss, supporting safe and effective use of medicines, while also providing a good patient experience as part of routine practice. This article outlines how to support people with sight loss to interact with the pharmacy, use and take medicines safely and effectively, helping them get the most from their medicines. In August 2016, NHS England introduced the Accessible Information Standard (AIS), which requires that the information and communication needs of disabled patients are proactively addressed in all aspects of NHS healthcare, including the dispensing of medicines (see Box 1 for more information). Further information on pharmacy compliance with the AIS is available to support organisations that provide NHS or publicly funded social care. This ensures that disabled patients, including patients with sight loss, receive information in formats they can understand. Take steps to ensure that people receive information that they can access and understand, and receive communication support if they need it. Outside of specialist ophthalmic centres, both in hospital and community settings, awareness, knowledge, and support literature for partially sighted people regarding safe medicines use is lacking. 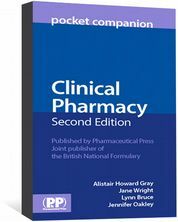 There is little published literature on the subject that pertains specifically to medicines-related support. Implementation of, and compliance with, the AIS is variable both across and within organisations, with particular, but differing, challenges identified by both large and small organisations of all types. This could be a result of little formal training about ophthalmic pharmacy in undergraduate or postgraduate educational programmes. It can be difficult to recognise that a patient has sight loss in practice. However, with one in five people aged over 75 years having uncorrectable sight loss, it should be routine in pharmacy practice to confirm with all older patients their ability to read standard print. This will improve the targeting of accessible information to those who need it, extending the provision of support from the more obvious Braille and/or large-font labelling. Other simple changes that can be made in the pharmacy (see Box 4), such as ensuring that the counter does not obscure the visibility of a white cane, can help with identifying people who may require extra support and assistance in relation to medicines. Collaborative working between RNIB and the Medicines Use and Safety (Pharmacy) team (MUS) has sought to identify the level of awareness of the needs of blind and partially sighted people among pharmacy staff and the resources used in practice. 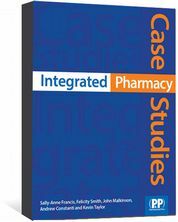 Box 2 provides more information on this working, including the details and findings from a recent survey of 200 pharmacists across Great Britain. A search for pharmacy-specific resources to support safe medicines use for blind and partially sighted people revealed a paucity of information for use in practice. Therefore, to ensure development of appropriate support, a survey was devised to explore pharmacy staff awareness of the needs of blind and partially sighted people and resources used in practice. Two surveys of 100 people were conducted using SurveyMonkey®. The first survey ran from 16 February 2017 to 1 March 2017 and was circulated to mostly hospital pharmacy staff at the London North West Hospitals NHS Trust and the national MUS network (England). The second survey ran from 1 March 2017 to 9 March 2017 and was circulated to both hospital and community pharmacy staff using the national MUS network, SalvaDore (RPS) and other community pharmacy networks through the RPS. Moorfields Eye Hospital facilitated circulation of the survey to the ophthalmic pharmacy group for both surveys. Pharmacists made up the majority of respondents in both surveys (survey 1 = 85%; survey 2 = 92%), of whom a small number (14%; 10%) had a special interest in ophthalmic pharmacy. The surveys differed in the sector of practice of respondents, where 69% were hospital-based in the first survey compared with 39% in the second survey, in which 39% were community-based. Most respondents (95%; 100%) to both surveys stated that they were at least “somewhat experienced” as pharmacy professionals. There was a difference in respondent perception of the importance of labelling of the medicine container and the importance of the patient information leaflet (PIL). While most (98%; 91%) considered labelling “extremely” or “very important”, only a third considered PILs “extremely important” (30%; 36%), with around a third (34%; 29%) considering them “very important” and a third “quite important” (33%; 32%). In both surveys, 55% of respondents stated that they assumed that patients could read labels. Question: In your opinion, how important is the patient information leaflet in the medicines container for dispensed medicines? While most survey respondents (98%; 91%) considered labelling “extremely” or “very important”, only a third considered patient information leaflets (PILs) “extremely important” (30%; 36%), with around a third (34%; 29%) considering them “very important” and a third “quite important” (33%; 32%). In both surveys, 55% of respondents stated that they assumed that patients could read labels. Large labels were the commonest adaptation (51%; 53%) and respondents documented a variety of other adjustments available. A minority (19%; 19%) stated that they were not aware of any adaptations. Asking patient what they would prefer. Overall, 9% and 21% of respondents, respectively, stated that “reliable and routine provision” of pharmacy support for people with sight loss was available; however, more than two-thirds of respondents (82%; 67%) stated that while efforts were made to support this population, no routine service was available. More than two-thirds of respondents (82%; 67%) stated that while efforts were made to support this population, no routine service was available. The key findings from the RNIB and MUS survey suggest poor awareness of sight loss among the pharmacy staff surveyed. 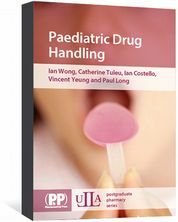 While most respondents believed labelling of medicines was “very important” or “extremely important”, they assumed that the recipient of the medicines could read the label. Some support was available, with around half of the respondents’ services providing large labels and a quarter providing adapted containers. However, more than two-thirds of respondents believed that their services are not very well set up to provide accessible information to people who cannot read standard print labels. Recommendations for accessible medicines-related information and support exist in the United States, but the authors are not aware of any national UK recommendations. To address the issues identified by the survey (see Box 2) and raise awareness of how pharmacy professionals can support blind and partially sighted patients and/or carers, MUS, RNIB and the ophthalmic specialist pharmacists at Moorfields Eye Hospital have developed guidance for pharmacy staff and advice for people with sight loss. Pharmacy professionals, when consulting and interacting with patients, should consider a number of questions to determine whether they have any communication or support needs. Further examples of questions that pharmacists and the pharmacy team may find useful when identifying and helping people with sight loss, as well as things patients themselves may find helpful, in a pharmacy environment and specifically to optimise medicines use and safety, are provided in Box 3. Would you like to be helped to your seat while you wait? Would your guide dog like some water? Would you like information about your medication in a different format (e.g. large print, Braille)? Would you like me to highlight/colour code any particular information on your medication label or use rubber bands/textured stickers to help you with identification? Would you like to hold the medicine container while I explain to you how to use it? Would you like a personalised dosing schedule chart? Would you like me to dictate a telephone number on to your smart phone if you need to us in the future? Patients with sight loss will often require information about their medication in a different format, which may include large print, email, audio or Braille. These needs should then be recorded on the patient record system so that the pharmacy team can take appropriate action proactively in the future. To support patients with safe use of medicines, Moorfields Eye Hospital pharmacy department, with input from the RNIB, has introduced a number of adjustments to support people with sight loss. Box 4 provides suggestions for pharmacists and pharmacy staff about the steps that can be taken to help patients with sight loss understand and take their medicines effectively. 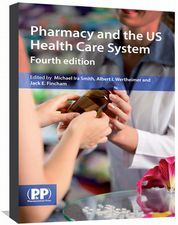 In addition, advice on adaptations to the pharmacy environment are included, which may also help patients. Introduce yourself and tell the patient who you are, your role and what tasks you will be performing because they might not be able to identify a uniform or badge. Make a record of their personalised requirements, including accessible format needs, on the patient record system. Ask if the patient needs the information in Braille format if they cannot use any of the above formats. Help the patient use the electronic Medicines Compendium (eMC; previously the X-PIL service) by providing them with an accessible written or recorded version of the name of the medicine and medicine’s product code number. If the patient needs it, provide them with assistance to seating while they wait for their prescription. The RNIB and MUS survey highlights how healthcare professionals see the issues which determine whether or not accessibility becomes a practical reality, and it comes after the mandatory introduction of the NHS AIS. Results suggest that effective implementation is yet to become a routine part of everyday pharmacy practice. The consequences of not providing medicines information to patients with sight loss, in addition to not meeting the mandatory AIS, is that people with sight loss are at higher risk of medication errors. For example, producing dispensing labels in 20-point font, using ‘sans serif’ fonts, audio-format labels and emailing information in plain text to patients. NHS England and RNIB provide advice for these services,. This will support the team in managing individual patients and to make adjustments where necessary. If the pharmacy’s system does not allow this, work with the system supplier, local organisation (e.g. clinical commissioning group or hospital trust), GP and NHS England to ensure it is updated to be “capture and flag” compatible, which is required by the new standard. This can be achieved by setting and auditing performance targets and delivery deadlines for service adjustments that need to be put in place. Also work with the local organisation on their AIS implementation plans and, where appropriate, co-ordinate with local GPs. Visit the Pharmacy Learning Centre for more on eye care in the pharmacy. Medicines Use and Safety team NHS Specialist pharmacy service. Unpublished data 2017.